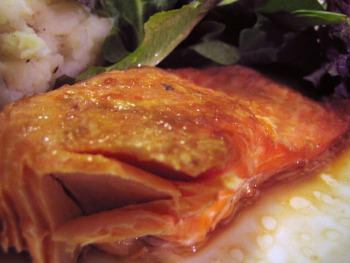 Want some quick and easy trout recipes and ideas for cooking your trout? You'll get to have the option to grill them, bake them in the oven, or broil them. Cook them whole, or just the fillets. Which ever way you prefer to get it done to satisfy you and your fish eating crew. Have a look at these great tasting recipes for trout! Remember, you decide to use fillets or whole fish. 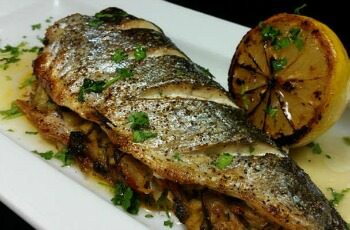 For example, the stuffed trout can be created with the stuffing mix on top, rolled up into the fillets, or as a side. Saute the ginger in a little olive oil, just until lightly browned. Remove from heat and let cool. Put the ginger/olive oil mixture in a bowl and add the lime peel, lime juice, sea salt and pepper and whisk together. If your trout is cut into fillets, heat your grill and brush with olive oil. Marinade the fillets in the mixture and grill until done or opaque. If your trout is whole, wash, pat dry, cut and clean the gut cavity and wash inside and out once more and pat dry. Lay the fish on foil, pour the mixture over it and some inside the cavity. Close the foil and cook on your grill for about 20 minutes. 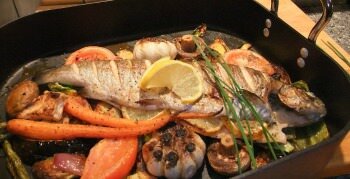 If you don't have a grill, clean the fish the same way, and lay it in a baking dish that is lined with olive oil. Cover with your mix and bake at 375 degrees Fahrenheit for about 20 minutes - until opaque. Cube the bread and toast them. Preheat oven to 375°. Grease 13x9-inch baking pan. In a small saucepan, cook celery, onion, and orange zest in butter over medium heat until tender. Stir in orange juice. Bring just to a boil. Stir in parsley and nuts. Toss in bread cubes. Place the trout in the pan. Stuff trout with bread mixture. Brush the fish with butter if desired. Bake for 20 minutes, or until the fish flakes easily. Salt and pepper to taste if preferred. Helpful tips: You can supplement the cashews for others types of nuts. Also tastes great on the grill. Wrap in tin foil and place on the barbecue. Preheat broiler to highest setting. Melt the butter and add the juice of one lemon. Make a few diagonal cuts in in the sides of the trout with a sharp knife. Sprinkle trout inside and out with salt and pepper. Place the whole trout in a baking dish along with any additional sides and ingredients of your choice, and brush the fish with the butter. Broil for 5 minutes close to the heat source. Then, move further away from the heat and continue cooking for another 2-4 minutes. Turn the fish over and cook until the skin is brown and the flesh is tender and moist. Serve basted with the cooking juices and garnish with the lemon quarters or slices. Do you want to share your trout recipes with us? We would enjoy seeing them and to include them on our website so that all of our visitors can enjoy trying them out. Follow the link in the box directly below to proceed with adding your fish recipes. Thank you in advance.